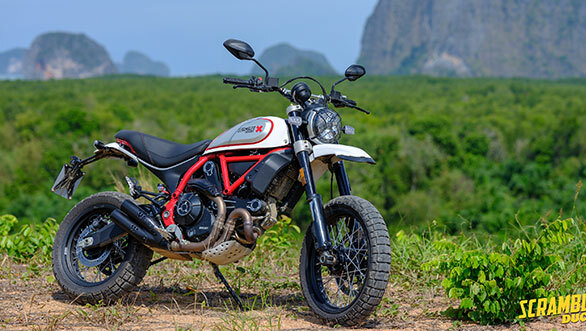 We recently got a chance to ride the 2019 Ducati Scrambler Icon in Thailand and besides the Icon, we also got to sample the 2019 Ducati Scrambler Desert Sled. 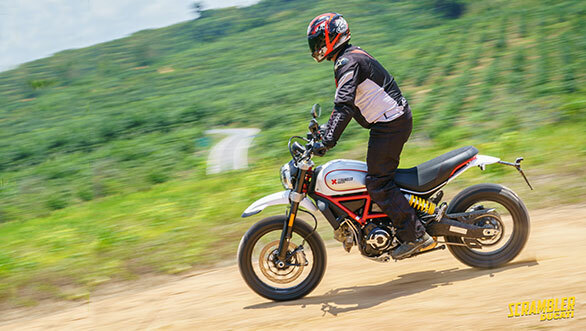 What's new about the Scrambler Desert Sled? It's based on the same Desert Sled, as before, so the chassis, engine and suspension are exactly the same. What's new are the tank panels, blacked out engine, switchgear and the inclusion of cornering ABS. The levers are now, adjustable and that pretty much sums up the list of updates. In many ways, think of the Desert Sled as a 2019 Scrambler Icon on stilts. For 2019, the Desert Sled gets a dedicated, off-road mode as well, so carrying those spectacular slides will be easier than on the previous model. Well, the Sled is the most off-road capable Scrambler in the 2019 line-up and if you regularly wander down broken trails or have the urge to venture beyond tarmac, the Sled makes a lot of sense. It has the right kit for it as well. The adjustable, long travel suspension (200mm), 19-inch front and 17-inch rear, wire spoke wheels and the Pirelli Scorpion Rally tyres indicate the Sled's off-road readiness. Not to forget, the 238mm ground clearance and a proper bash plate. The only deterrent for Indian riders will be the 860mm seat height but frankly, it's manageable without any cause for concern. It's, let's just say, easy to get used to while riding off the road. The trails the Ducati had chosen in Thailand were not very challenging but it was enough to get a sense of the Sled's capabilities. 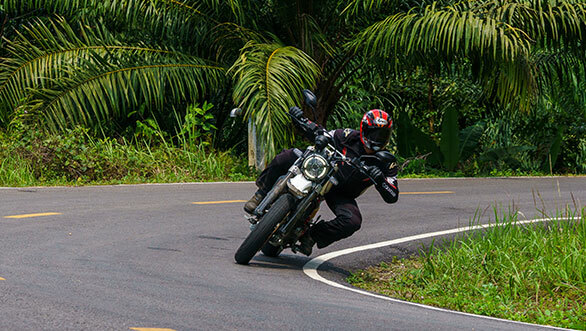 The light weight, natural stance when you stand on the pegs and grip from the tyres allows you to ride at a decent pace, especially if you are an off-road noob like me. The off-road mode also acts as a safety net when you are ham-fisted and I am grateful that it was there to keep a watch on me while I tried to keep up with the experienced riders in my group. And that's when I had a sort of an epiphany. 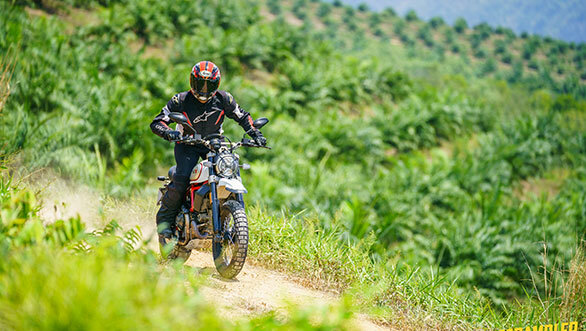 The Scrambler Desert Sled is a great alternative to a big, burly adventure tourer, especially when you are riding up the off-road learning curve. It's light and nimble, plus if you drop it, it'll be easier to simply pick up and carry on. And what about riding on the road? Now, that's where the Scrambler Desert Sled surprised me the most. Despite looking ready for the apocalypse, the Scrambler is immense fun to ride on the road. Firstly, you sit high enough to easily pick your way through traffic. And when you ride around corners, the Sled leans and how! I wasn't really expecting it to go around bends in the way it did, and to me, that underlines the versatility of the Desert Sled. 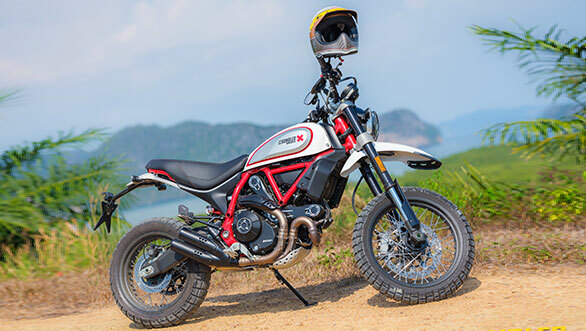 The Ducati Scrambler Desert Sled is a thoroughly enjoyable motorcycle, especially for those who love exploring trails. For a little more than the Scrambler Icon, the Desert Sled brings genuine off-road ability and while at it, looks smashing. 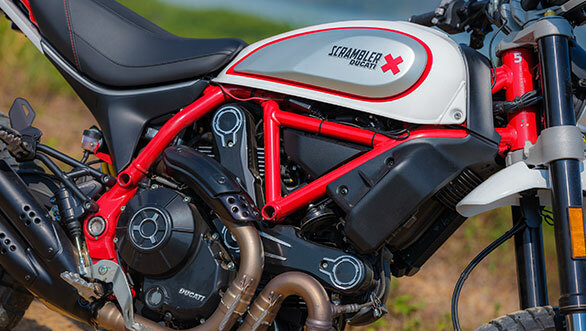 I think it's definitely worth the extra cash if this is the type of Ducati Scrambler you are looking for.